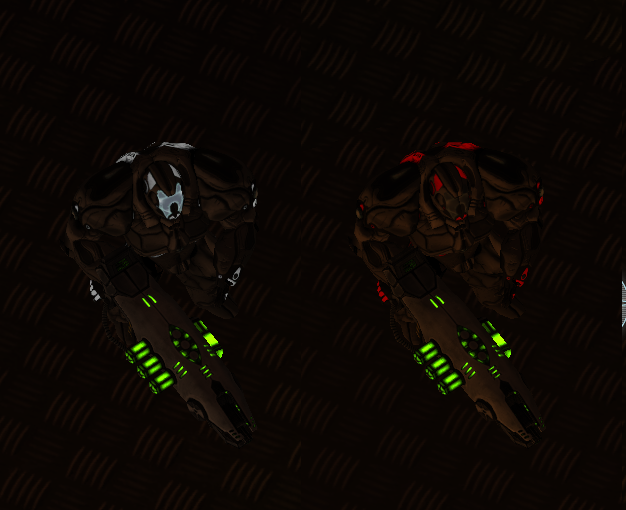 Just a small remark - it's really cool to use emissive masks on iOS devices to color characters and weapons. Today I'm thinking about which variant looks better - with colored visor or not. But in general the Marine has four color variants (one for each armor upgrade) and plasmagun created in three colors (classic blue, acid green and dangerous red). Fortunately, UDK mobile emissive masks has only minor performance cost.